Twinkling lights, festive music, and crisp, cool days are just the tip of the iceberg when it comes to experiencing the magic of wintertime in Chattanooga. Whether you’re looking for a romantic getaway or a vacation for the whole family, the city is bursting with holiday cheer and unique activities. Read on to discover 12 of our favorite ways to enjoy winter in the Scenic City. Built in 1921, Chattanooga’s Tivoli Theatre offers a variety of entertainment from symphonies to stand-up comedy. In the winter months, you’ll find holiday-themed productions such as The Nutcracker ballet, a special Home for the Holidays performance by the Chattanooga Symphony and Opera, and the Singing Christmas Tree. With a grand foyer, crystal chandeliers, and an ornate domed ceiling, any trip to the Tivoli feels like a special occasion. The Southside’s Main Street has boomed in recent years, quickly becoming one of the city’s most energetic neighborhoods. MAINx24 is a 24-hour long festival the first weekend in December that celebrates everything that’s great about Main Street: good food, great people, and tons of fun to be had. Attendees will find events like an ice cream breakfast, parades, a silent disco, live music, parties, fashion shows, games, a chili cook-off, and much more. What could be more wonderfully wintry than a relaxing ride in a horse-drawn carriage? Departing from the Tennessee Aquarium, these 20-minute rides take you on a merry tour through the heart of the city. 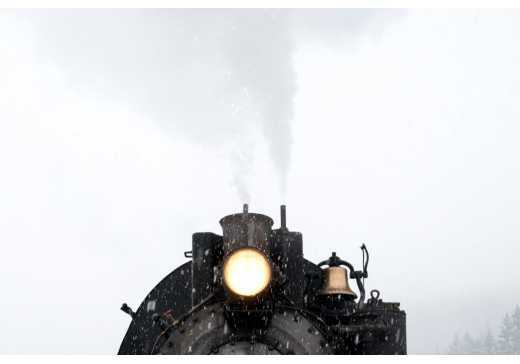 The drivers are always happy to offer pieces of history and informative tidbits about the surroundings, and each carriage offers warm blankets to make your trip cozy and comfortable. Chattanooga’s Holiday Trail of Lights is a collection of 12 of the best places to find Christmas lights and holiday cheer around the city. Attractions on the Trail include Lights at the Chattanooga Zoo, twinkling Snowflakes on the Walnut Street Bridge, the Tennessee Aquarium’s Holiday Under the Peaks, and Ruby Falls Christmas Underground, where you’ll walk through a secret underground passage to greet Santa and his elves. For one of Chattanooga’s most iconic winter events, bundle up and spend an evening wandering Rock City’s Enchanted Garden of Lights on Lookout Mountain, which features four magical realms that will delight all ages. Another unique holiday experience is the Wonder Wall at High Point Climbing. The spectacular contemporary building has an elevated outdoor climbing wall overlooking downtown, which is illuminated in red and green throughout the holidays. Beginning on December 21, the Westin in downtown Chattanooga hosts Winter in West Village, a free family-friendly celebration on a charming cobblestone street. Winter in West Village features live music, kids activities, food trucks, beverages, and an exciting laser show. The once-industrial neighborhood is now a modern little corner of town with lively restaurants and shops. Sure, The Polar Express might technically be a kids movie, but there’s no denying that it appeals to all ages. The film became an instant classic upon its release in 2004, and the years have only made its heartwarming story better. Gather up the whole family for a 3D viewing of The Polar Express and then warm up with hot chocolate just around the corner at downtown’s newest Starbucks on Broad Street. From November through January, experience the thrill of ice skating in the lovely landscaped gardens of the Chattanooga Choo Choo. No matter your age or skill level, a trip to the ice rink is sure to be an unforgettable experience. Skate rentals are included with tickets, and you can sign up for a lesson on Saturday mornings. Not your thing? Grab a warm drink from Frothy Monkey in the Choo Choo and enjoy watching the skaters. The leafless trees of the colder months bring out some of Chattanooga’s most breathtaking views. The Bluff Trail on Lookout Mountain is scenic any time of year, but in the winter you can walk for miles with totally unobstructed views of Lookout Valley unfurling below. Mullens Cove Overlook in Prentice Cooper State Forest is another vista that comes to life in winter. Unlike its popular counterpart, Snoopers Rock, the view from Mullens is interrupted by foliage for most of the year, so winter is the only time you’ll have a sweeping view of a remote section of the Cumberland Mountains. Round out your mountain tour with a hike to Laurel Point on Raccoon Mountain. Explore the three-mile loop trail for expansive views of the surrounding bluffs and valleys, and then enjoy a picnic back at the tables near the parking area. Step into yesteryear on one of the handsome cars of the Tennessee Valley Railroad, a “moving museum” with a variety of tours year round. There are several magical holiday-themed rides to choose from, such as the Christmas Dinner Train, Santa’s Hiwassee Holiday Train (along the scenic Hiwassee River), and Night Caps with St. Nick, where guests are served festive beverages and desserts alongside holiday carols and stories. Each weekend in December, local artisans set up shop at the Convention Center as a winter extension of the Chattanooga Market. With crafts, food, jewelry, and more, you’ll easily find the perfect handmade gift for every person on your list. Delight and inspire your kiddos with a fun-filled day at the Creative Discovery Museum. While it’s truly fantastic any time of year, the variety of winter activities are impressive and will thrill children and adults alike. Events include building gingerbread houses, a Snow Day, the Kids Only Holiday Shoppe, New Year’s at Noon, and a celebration of the Chinese New Year. We know what you’re thinking: Are we really suggesting that you spend an hour staring at the windows of Chattanooga’s Electric Power Board? Yes, we are! EPB is at the center of downtown and its holiday decorations are nearly unrivaled in the city. In December, EPB fills its street-level windows with whimsical scenes of holidays from around the world, from the North Pole to the Amazonian jungle. You don’t want to miss taking a stroll around this building on your winter trip to Chattanooga.